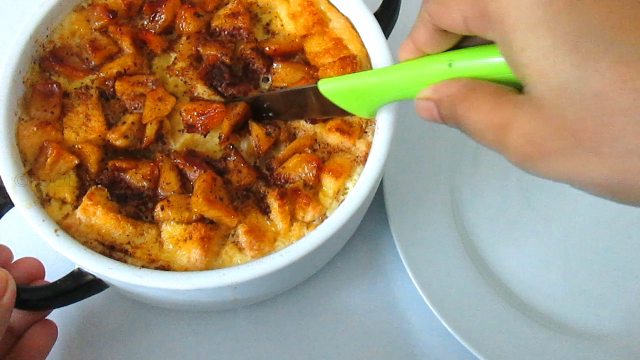 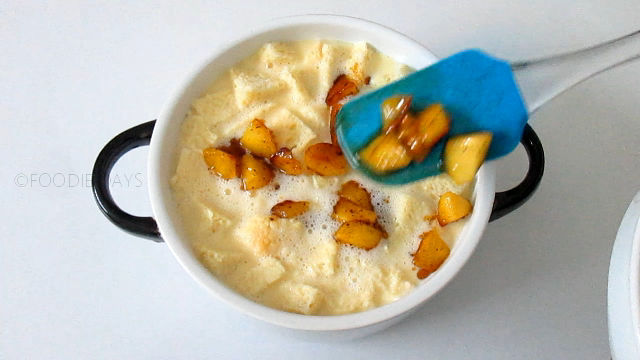 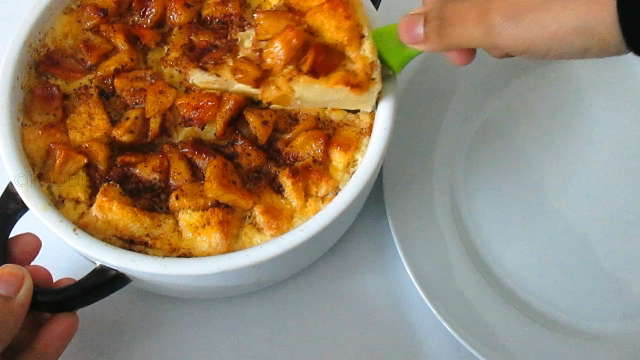 Hi there.. this recipe is based on one of my old recipe video..No bake apple custard bread pudding. 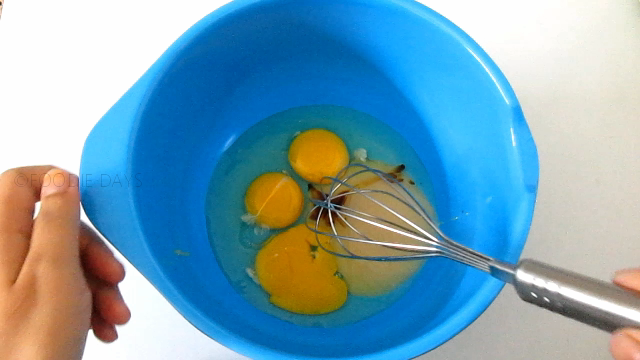 I follow the same recipe with some changes.. 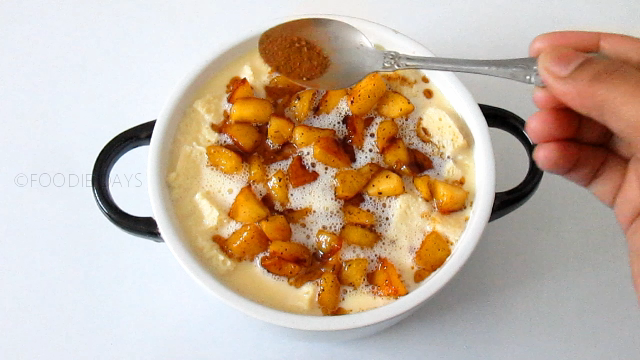 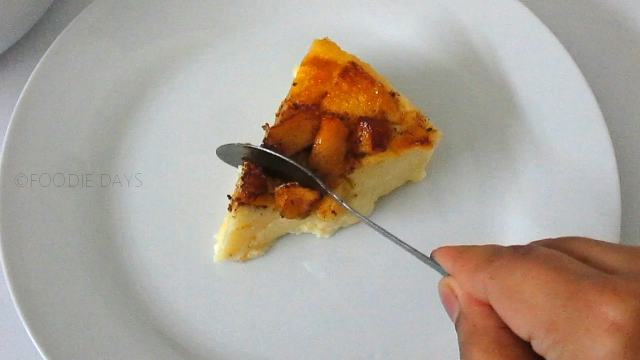 This is a baked apple custard pudding. 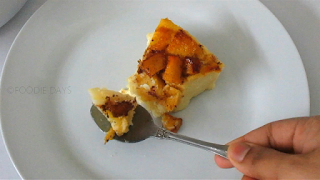 I am sure you will love it.. yummy and delicious pudding.. here is the recipe..
Apples-3 apples, peeled and sliced. Bread slices-4 slices, cubed into 1-inch pieces. 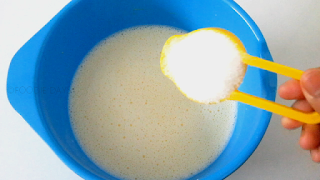 Sugar-1 tablespoon + 1/4 cup. 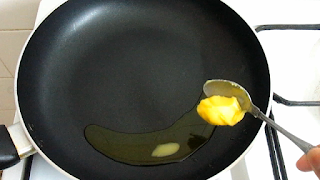 Preheat oven to 170-degree Celsius for 15 minutes..
Heat a pan with ghee or butter. 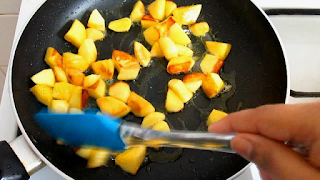 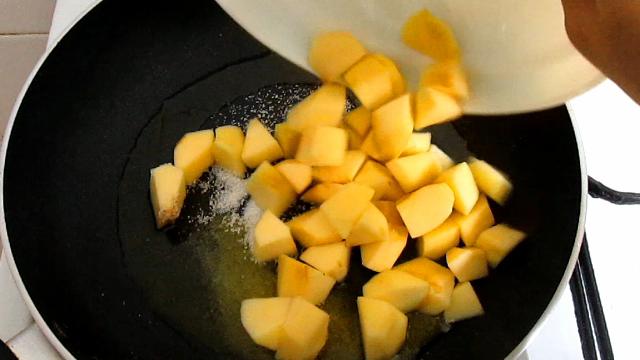 Add in chopped apples to it and saute for few minutes. 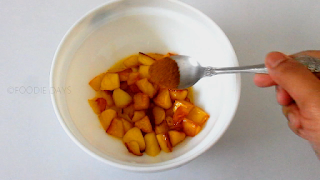 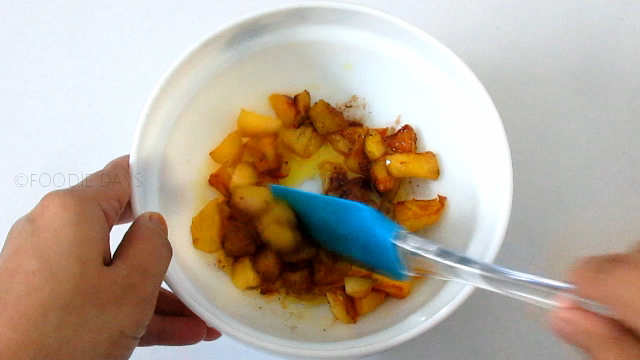 When Apple turns soft turn off the flame and add cinnamon powder.Keep this aside for later use. 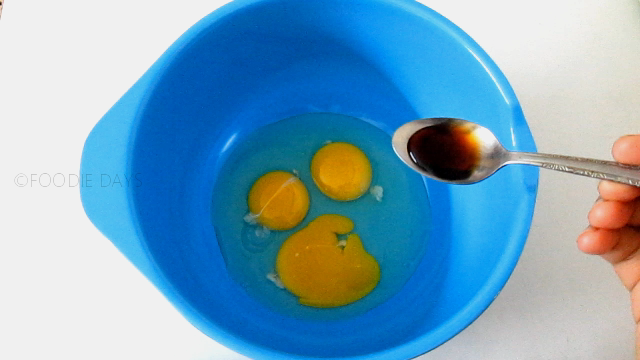 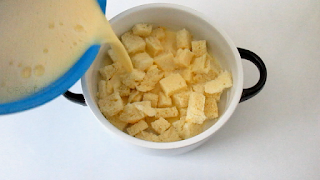 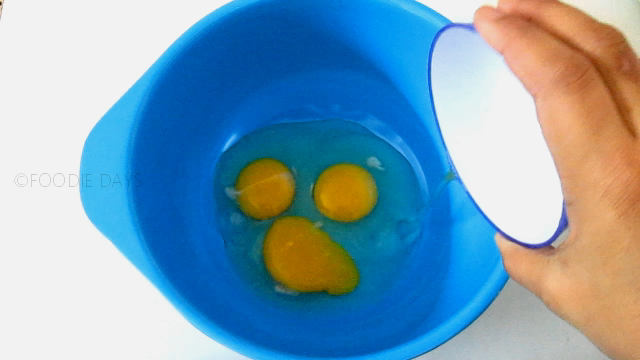 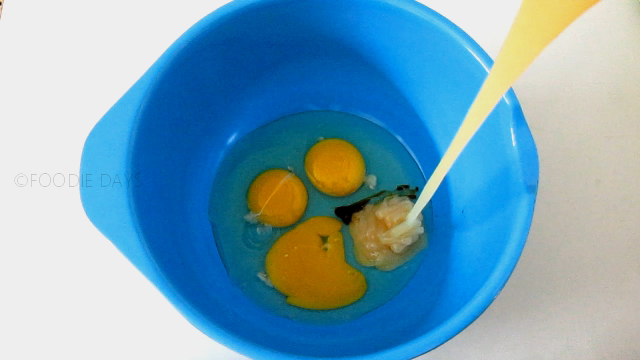 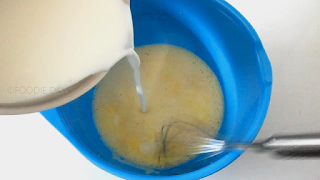 In a large bowl add eggs, vanilla essence, condensed milk and mix it well. 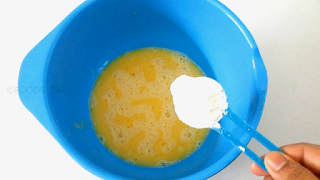 Add corn flour and again mix it nicely. 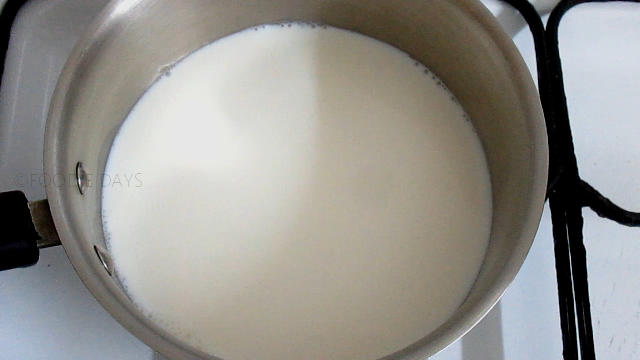 In a saucepan just heat milk. Add this warm milk to egg mixture slowly and mix it very well. Add sugar and mix until it completely dissolved. 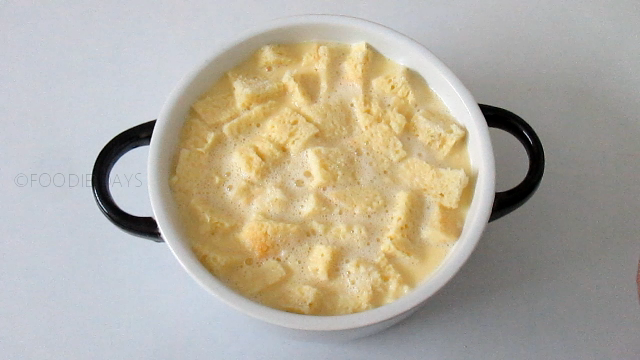 Prepare a baking dish by greasing butter all over the dish. 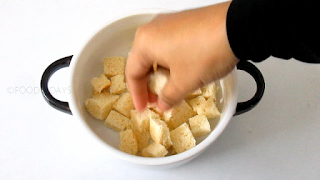 Spread the bread pieces into an even layer. Make sure all of the bread is coated.Allow to soak for 15 minutes. 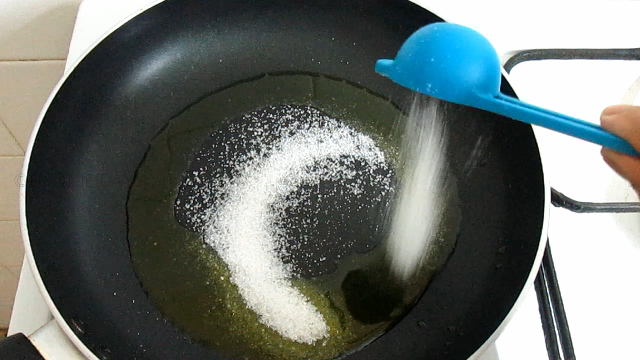 And dust little cinnamon powder. Apple bread pudding is ready.. Allow to cool slightly before serving or refrigerate for 2 to 3 hours after it is cooled.